Showing up in the organic search results can be a real headache. If you try to do it manually, you can expect it to take months, or even a year, to move up in the results. That’s because it takes so much time to complete anything manually. You have to set time aside to complete each task, and even if you dedicate 40 hours a week to the job, it is still going to take forever. Fortunately, tools like XRumer eliminate the need to handle your internet marketing tasks on your own. You can automate the various tasks and then sit back and relax while the tool does the work. If you do this properly, you will move up in the search engine rankings much faster than you would if you tried to complete the tasks manually. In order for this to work, you absolutely need to use private proxies. Let’s look at the importance of cheap private proxies, and then move on to what you will get when you purchase XRumer. Then, you’ll learn how to set up your proxies inside of XRumer. Whenever you decide to automate tasks on the internet, you need to have the protection of a proxy, and XRumer is not different. 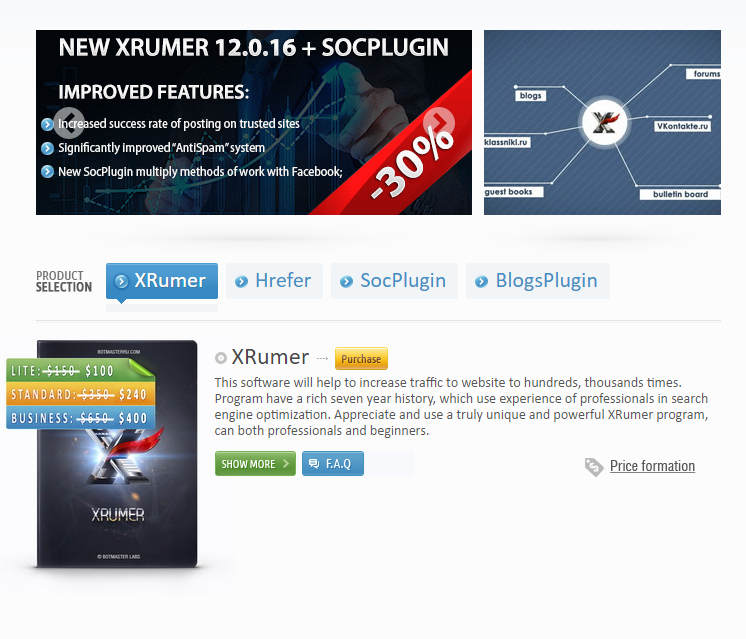 XRumer quickly builds backlinks for your website. In order to accomplish that, it sends out a lot of requests at once. Search engines that see lots of requests come from the same IP address get suspicious. The search engines automatically assume that you’re using a bot, and they ban your IP addresses. Some people think that search engines are against bots because they don’t want people to work quickly, but that isn’t true. Search engines ban bots because they are often used for malicious behavior. For instance, someone might use a bot to instigate a DoS attack to shut down a website. Search engines block bots for that reason. Unfortunately, honest people get caught in the crossfire and get their IP addresses banned, as well. When you use a private proxy, your IP address is hidden. You can even rotate the proxies out so you get a fresh IP address every few minutes. This makes it hard for the search engines to detect bot usage. Now that you know why cheap private proxies are so important, let’s look at what you’ll get with XRumer. XRumer is all about link building. You can use the tool to quickly post links on a variety of sites. Then, the links point back to your site, and you get some link juice from them. That link juice helps you move up in the search engine rankings. The more quality links that you get, the higher you will rise in the search rankings. Eventually, you can even make it up to number one, as long as you combine XRumer with some additional SEO techniques. It used to mainly be a tool for posting on forums, but it has expanded its scope in recent years. Now, it has a robust social posting plugin. The free SocPlugin allows you to post on four social networks, including Facebook. You can post messages, comment on videos and photos, and download and upload images. You can even use the tool to like content. Search engines also use social cues when determining your ranking, so this is a very powerful plugin. If you use it, it will help you move up in the rankings even faster. You have probably tried tools like this before without good results. You can get the results you want with XRumer, though. XRumer works for two very important reasons. First, it uses a posting system called Antispam. This system makes sure that each post is in accordance with the forum’s theme. That helps you avoid spam. If you posted links without this system, you could end up posting on sites that aren’t relevant to your niche. The search engines will notice that you are doing that, and they will flag you as a spammer. Once you are flagged, you cannot move up in the search rankings until you fix the issue. On top of that, it has a CAPTCHA solver. If you’ve ever tried to build links, you know there are lots of CAPTCHAs out there, and those CAPTCHAs can really slow you down. The CAPTCHA solver can solve any CAPTCHA you throw its way, including textual CAPTCHAs. That saves you a lot of time, along with a lot of headaches. You can put this system on autopilot and go out and live your life. Then, when you come home, you’ll have all kinds of new links pointing to your website. Once you have your proxies and XRumer, you will need to add your proxies to the program so everything can work. This is a simple process. Start by opening your folder that contains XRumer. This will be where you saved it to when you downloaded it. To make it easy on yourself, save it to your desktop so you won’t have to sort through countless files to find XRumer. Check for a xrpoxy_state.bin file in the folder. If you have one, delete it from your folder. If you don’t have one, you can move on to the next step. Then, look for the xproxy.txt file. Open it up and add your proxy information to the file. Once you get everything set up, you’ll almost be ready to go. First, though, you need to look at some tips. These tips will help you get the most out of XRumer. Spam and link building go together like peanut butter and jelly. Spam has been around since the beginning of the internet. Some marketers use spam to move up in the search engine rankings. This is especially true in regards to link building. Marketers tend to get any link they can, even if it is a low-quality, or spammy, link. In the past, they would get rewarded for this. They would move up in the rankings and end up ahead of people who went for quality links. Now, though, Google is on the attack, and it is going after spammy links. If your site has spammy links pointing to it, you will get penalized by Google. Your site won’t move back up in the search engines until you remove those spammy links. That means you need to make sure that XRumer only builds quality links. Get links from high-quality sources so you don’t become a victim of Google’s spam-finding algorithms. It’s a good idea to check your links on a regular basis. If something is of a low quality, remove it. This will help you as you try to get a good ranking on Google. 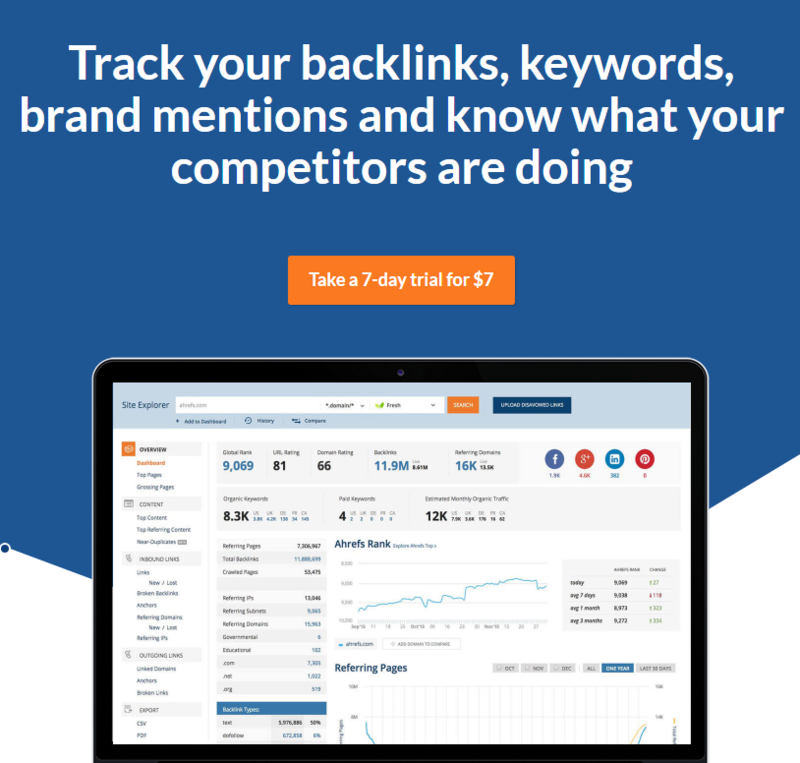 You can easily check your links with a tool like Ahrefs. Just plug your site into the tool, and it will do the rest. It will let you know how many high-quality and low-quality links that you have. Then, you can delete the low-quality links. You can use anchor text in the links that you build with XRumer, but you have to be smart. The search engines don’t view anchor text in the same way they did in the past. Back in the old days, it was a good idea to use exact match keywords for anchor text. For instance, you might use “Best Computer Deals” for your anchor text. Now, though, Google and other search engines view those text links as spam. They want your anchor text to add some sort of value. Don’t just think of your anchor text as a way to build your SEO campaign. Think of it as a way to get people to click on your link and visit your site. With that in mind, you can include keywords but make sure they sound natural and they make sense. If it looks like you’re just stuffing keywords into your anchor text, you will feel the wrath of a Google penalty. Those penalties can set you back quite a bit. It’s much easier to use quality anchor text with each link that you build so you don’t have to fix your campaign. It is easy to build the exact same types of links, but you need to have some diversity to your links. Don’t use the same anchor text, and don’t write the same types of comments with your links. By creating diversity, your links will look natural and valuable. This will help you with your SEO campaign. It’s worth noting that this will take some additional time, but it is well worth the effort. Even when you use a tool, you are going to have to put some time into the process. There is no such thing as quality SEO without a time investment. However, you won’t have to put in nearly as much time as you would if you tried to handle it manually. Getting the right proxies is also important. Avoid the temptation to use a free proxy service. These services are incredibly slow, so you won’t be able to open XRumer up and let it get to work. Instead, you will be stifled by the lack of speed. In fact, some public proxies are so slow that you would be better off avoiding the tool and taking care of your link building on you own. You also have to consider the danger of using free proxies. Many of the free proxies out there are run by hackers. Hackers use proxies as a front to steal your information. Basically, you’ll be building links while hackers swipe your bank account information. That is not a fair tradeoff. You will end up losing quite a bit in that deal. Fortunately, private proxies are cheap. You can go with dedicated proxies or rotating proxies. Both will give you the speed that you need to run XRumer. You won’t have any connection issues when you get a quality proxy. XRumer uses a lot of resources to build links. If you want to use your computer while XRumer is in action, you are going to be out of luck. It will take up all of your resources so you will be stuck using your mobile device if you want to get online. That’s fine for some tasks, but sometimes, you need a powerful computer. You can avoid this problem by deploying XRumer on a virtual private server. A VPS has all of the resources that you need, and it’s located offsite. You just need to get a package, get your login information, and then access the server from your home computer or mobile device. Then, you can run XRumer on all cylinders, and it won’t take up any of your computer’s resources. A VPS is an affordable way to increase your resources. Plus, since it has so many resources, you can use other SEO tools as well. Just put everything on the VPS, and then watch it fly. You will have a first-page Google ranking in no time at all. XRumer is a great tool, but you have to use private proxies or you will be shut down just when you get started. Once you add your private proxies, you will be full steam ahead. You can start building links, and then check your links to make sure they are of a high quality. Get rid of the ones that you don’t want to use and then keep going. Remember, the more quality links that you have, the easier it will be for you to rank on Google and other search engines.